What's up CBRer's. Name's Dave. I'm new here. I'm 6'5" and have a 929 that, if I don't sell, was thinking about doing risers and DB bars. Just wandering if anyone found it more uncomfortable or had any handling regrets versus the clip-ons. I figure it is not going to be as racy or as connected in the corners. But will be a lot more comfy overall? Or is it weird to still have your legs bent but your upper body straighter? I wish I could test ride a converted one around for a little while but so far that isn't possible. Also, I don't think I'd have to trim that much from the fairing. Probably just the windscreen. I'm betting on new brake lines, throttle, and clutch cables. I've looked at the LSL kit but $500 seems a bit steep. I also looked at Freestyle Ingenuity risers for about a hundred but I would be drilling my top yoke. Is that safe? The good thing with the FI, besides price, is that I can choose my own bar bend. That's a pretty bike! Are you sure you want to drill the top clamp? I would just get used to the position. The 929 is not as aggressive as the newer RRs already. I'm 6'1" with a questionable back and once I started getting used to it as it is, I found it very comfortable. You just need to scoot up tight against the tank to get as upright as possible while cruising. Your preload adjusters are backed out pretty far for a guy that's 6'5". Try turning them in to set the preload for your weight. You may need to upgrade the springs to firm it up a bit, which will help keep the front end higher for you. I wouldn't change a thing on your bike man. No, I don't regret it. And, I'm not sure I'll ever do clip-ons on a bike I intend to ride on the street again. Drag bars probably, but not clip-ons. 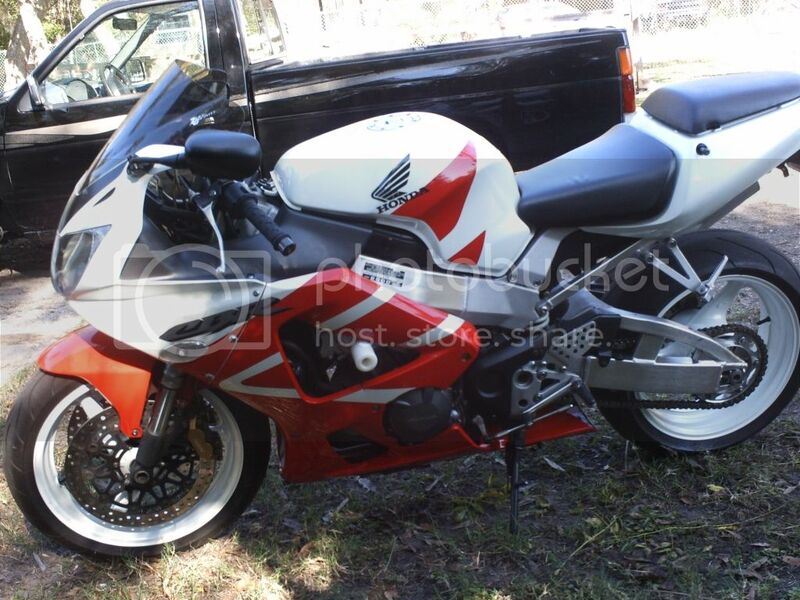 Having said that, I wouldn't put fairings on any bike I intended to ride on the street either. I would never buy the LSL kit. It's way too expensive to even consider. I ran those freestyle ingenuity risers - they'e fine. Of course, some of the paint will rub off and it's steel - so it could/will rust. You can find my fighter thread on here. On the first page, you can see what they look like on there. Overall - I wouldn't run dirty bars on your bike. Last edited by Conrice; 08-30-2013 at 07:25 AM. Nope. I used some universal bar mounts with Protaper risers and used a Renthal twin wall (CR High bend) on my RC51 and now vibrations are all but gone. Being a bit more upright means more wind resistance, but it doesn't really hurt until around 120+ mph anyways and at that point I can tuck and everything is kosher again. Went to Motion Pro for all the additional cables I needed and did some creative rerouting of the switch wires so I didn't have to extend them. 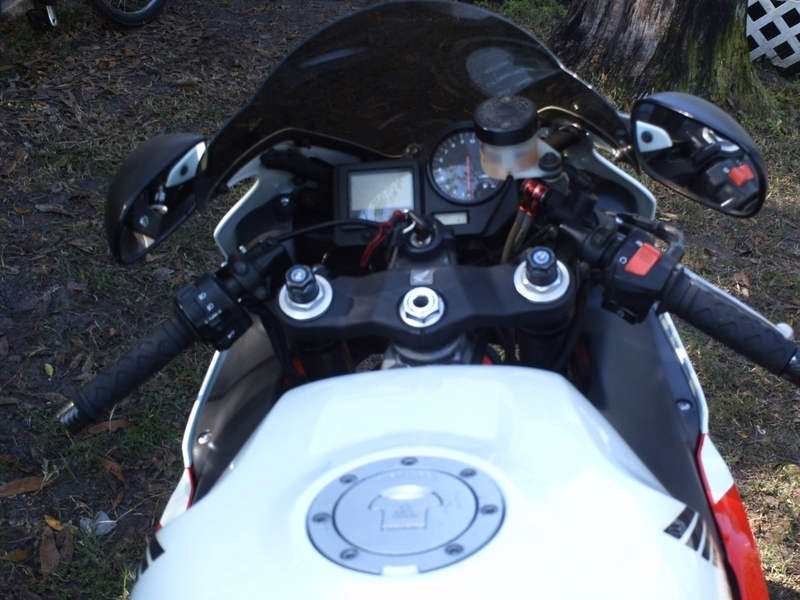 Never had the front end on my RC51 come up on me from pure acceleration with clip ons, now it happens by accident. I'm with Conrice, dirt bike bars/street fighter style is the way to go for the street. 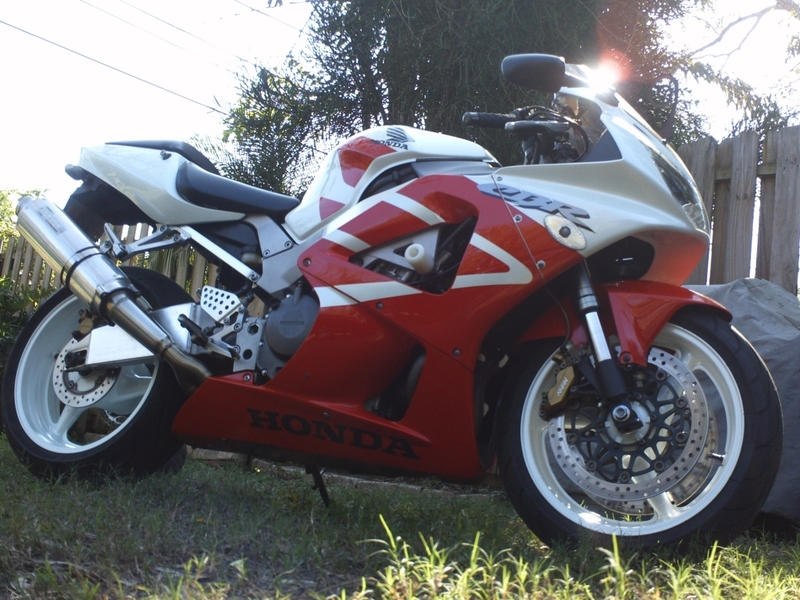 I kinda liked my RC51 before, now I absolutely love it. As far as taking corners, there's some kinda goofy fun to be had from using the leverage of the wide bars to turn a bike. Then again, I'm never really trying to rail through the corners on the street anymore so I guess it also depends on how hard you're taking it. Fellow track junkies who have taken street triples and such on the track say it's a bit awkward if you're trying to use good body position because you're more upright, but that's not to say there's any "disconnected" feeling. If you're worried about the triple, buy a spare scuffed up one off of eBay so you can always swap the old one back. FYI, double triple quadruple check your measurements from the top and bottom of the triple before drilling. Thanks. Yeah I might just get an extra top clamp off ebay to drill into if I don't get the LSL kit. I have a bad back as well and, on good days, I can only do about an hours ride before it starts to flare up. I backed the preloads all the way out and reduced to compression damping to try and soften up the ride but it's still pretty harsh. I only weigh 170lbs so I don't think I need heavier springs. I think I need to be more upright but I'm not sure if that will actually put more pressure on my spine. Oh well, I guess I can always change it back if I don't end up liking it. Thanks. I looked into those, however, they only offer less than an inch of rise over my stock 929 clip-ons which aren't as low as the other RR's. So it didn't make sense for such a minimal gain. With dirtbike bars, I reckon, I would be gaining over 5 inches in rise plus a few inches of pull-back and in width, too. So, I believe it would make a huge impact on ergonomics. Thanks. That's probably what I'll do. Find a top yoke on ebay and drill through it with the FI risers and some RC High Renthals. Sounds like you like the twin walls so I'll probably go that route to eliminate vibrations versus the regular Renthals 7/8". I come from a motocross background so I believe the riding position wouldn't be that awkward once I got some seat time in. I have no aspirations to turn fast laps on it. I just want it to be more comfy for touring. Quick Reply: Anybody regret going to dirtbike bars?